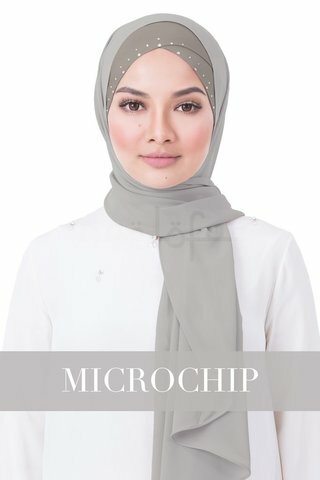 For Raya 2018, we are showcasing another lovely version of our Be LofaInstant hijab. 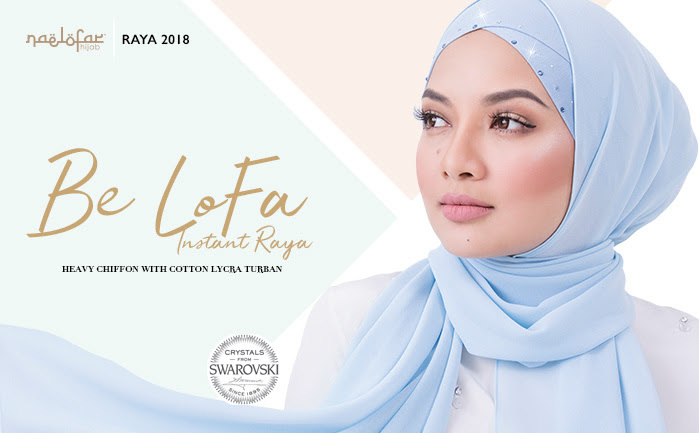 Be Lofa Instant Raya is a sophisticated upgrade of its previous predecessors. I is a cotton lycra turban that has overlapping layers and embellished with an assortment of sparkly crystals that flatter and attract attention to your best asset, your face, of course! 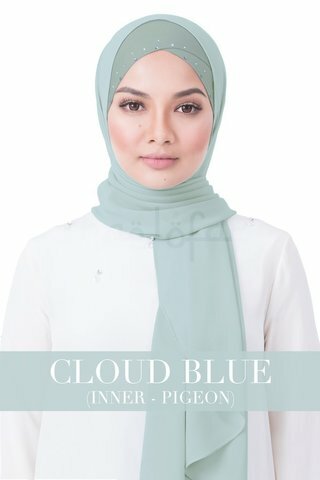 The long shawl attached is made using ultra light Heavy Chiffon that can be styled in so many ways. If you're seeking a modish hijab that is popular and fashionable, Be Lofa InstantRaya will make a marvellous accompaniment to your Lebaran ensemble. It's a contemporary and trendy design that transcends any age, appropriate for both casual and formal settings and will look great to be paired with any outfit. Make a stylish statement this Eid with the Be Lofa Instant Raya, you'll be the best-looking lady in town with this fabulous design.